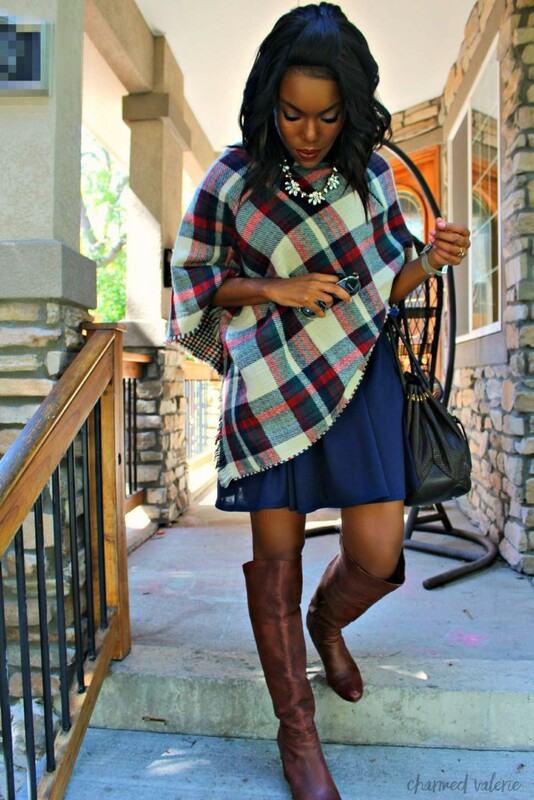 The poncho trend for Fall 2015 is one of my favorites because it’s a cozy, stylish way to keep warm. 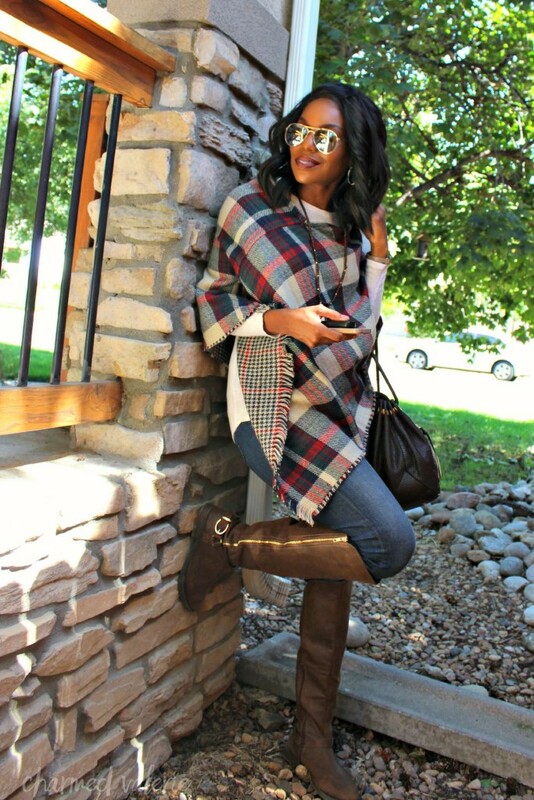 I especially love ponchos because they’re an inexpensive way to add patterns and layers to fall/winter outfits. 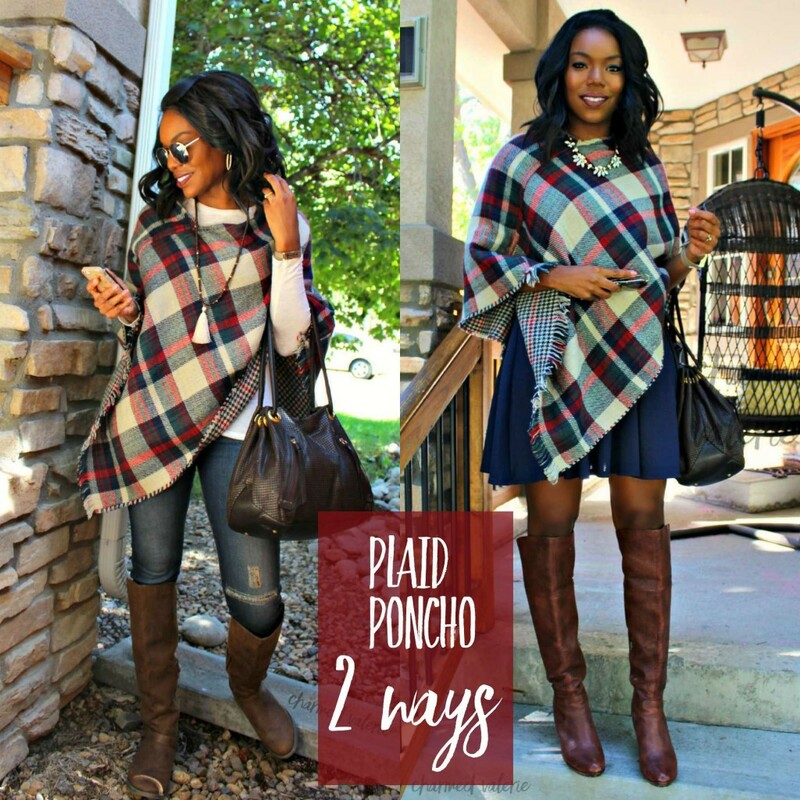 Here are two ways I plan to style my new favorite plaid poncho. Both of these looks will work whether you have a poncho like mine or a large blanket scarf to drape over your shoulders. Go forth and be cozy! Both are great looks. Love how easy it is to dress up a poncho. I love both of these looks! Your poncho is adorable. 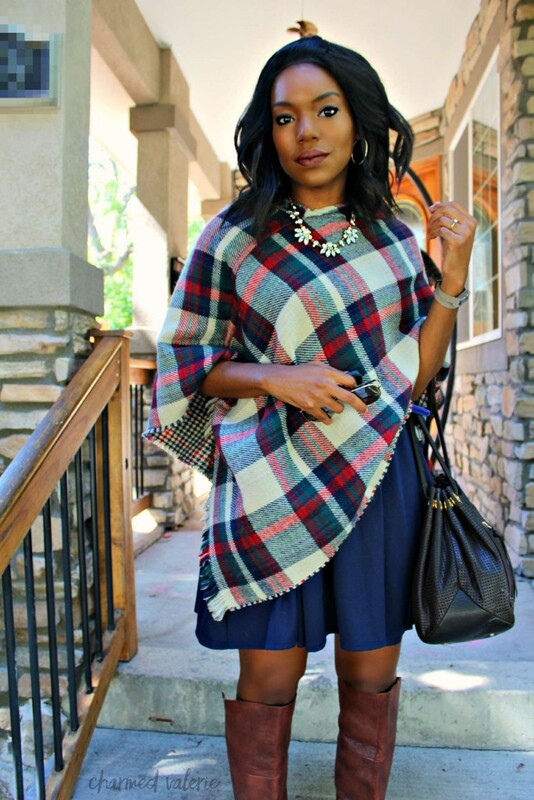 I really like the two different plaids! You look absolutely beautiful! 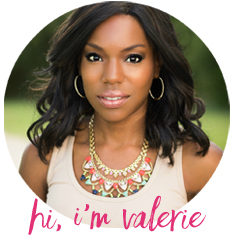 Love the two different way you styled it! That poncho is great! I love both ways that you styled it. I think I need it now.